TITILOPE ADESANYA is a content producer of Afrodisiac, a weekly show on campus radio station VoWFM. Twenty three year old Adesanya, originally from Nigeria, arrived in Johannesburg in 2013 for her first year at college. Her name means eternal gratitude in Yoruba, one of the languages spoken in Nigeria, yet she coyly admits, “I can barely speak Yoruba”. Her show which focuses on African entertainment is clearly close to her heart. 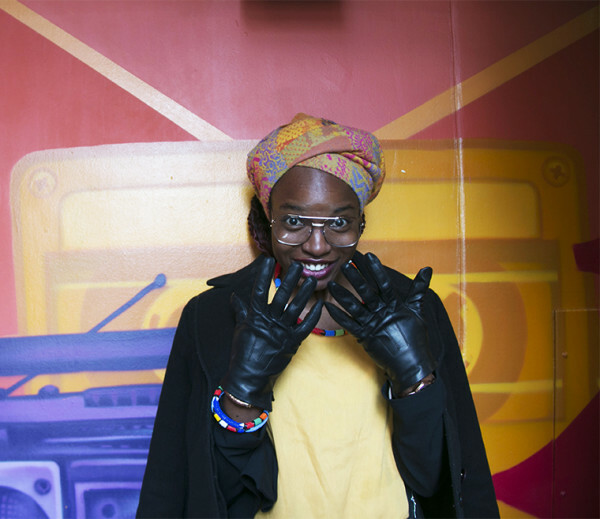 “I love the show, we focus on African entertainment outside of South Africa as it’s covered by other shows,” she said. She’s been at VowFM for the last year. “I started out in the marketing team and moved over to producing content and news reporting this year. It’s been fun” she said. Adesanya is also a volunteer for an organisation known as Starting Now, whose mandate is to make an impact within communities in which the volunteers live. The organisation is active in 3 countries: Nigeria, Ghana and South Africa. “We organise an annual camping trip for the children at Christ Christian Church Care Centre (the 5Cs),” she reveals as she gently tucks her maroon braids behind her ear, “We take them to Harties [Hartebeesport Dam], for three days in December”. She is currently doing groundwork for a project that will see her partnering with Black & Gold, a Nigerian fashion house. The partnership will hopefully result in the first ever “South African Students Fashion Week”.